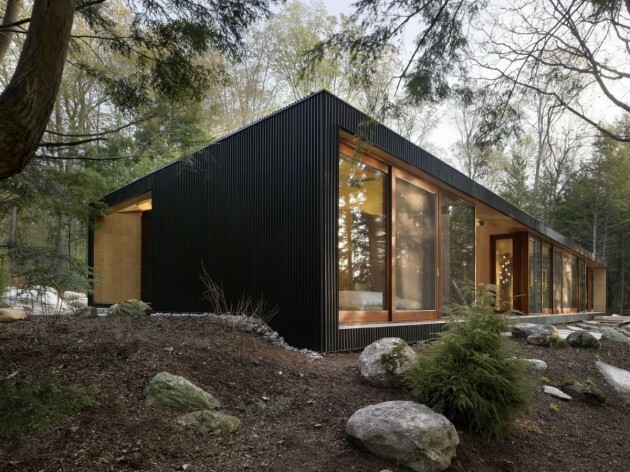 MacLennan Jaunkalns Miller Architects have designed the Clear Lake Cottage in Parry Sound, Ontario, Canada. A Toronto family of five requested a cottage that is ‘modern and open’ but retains a quintessential ‘cottage feel’. 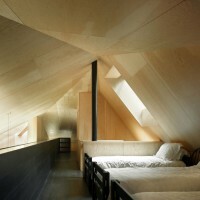 The building was to be commodious and accommodate extended family but should avoid ostentation in scale and modernity. 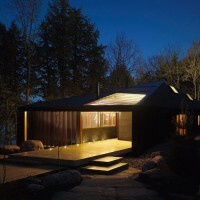 The Clear Lake Cottage proposes a simple tent-like envelope to house both program and outdoor spaces under a single vernacular form. A singular roof presents a child-like impression of house; rectilinear and ordered in symmetry while playfully skewed in volume. 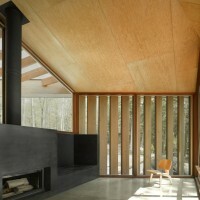 Nestled within a forest, the building is sculpted and stepped to take advantage of the land; modeling the natural grade. 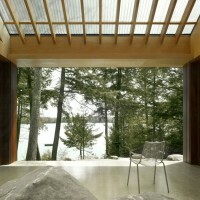 Open and closed faces respond to shoreline views or quiet wooded depths. 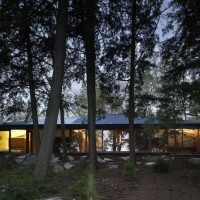 Like a tent the porosity of the building’s envelope strengthens the experience of ‘cottage’. 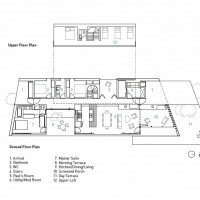 Three volumes: a communal space, a bedroom bar, and a master suite are registered in response to the site to achieve views, separation, and privacy. 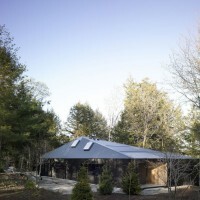 The roof peak creates a sleeping loft, and enhances the communal space. 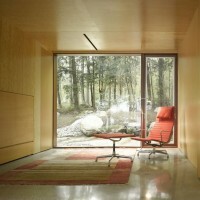 The plan aligns a series of large sliding windows for summer cross ventilation. The tent-like ‘big top’ of the Douglas Fir interior has three exterior spaces carved into it to create sheltered outdoor areas. The relationship to site, the transition spaces, and operable transparent skin connects to this privileged landscape.